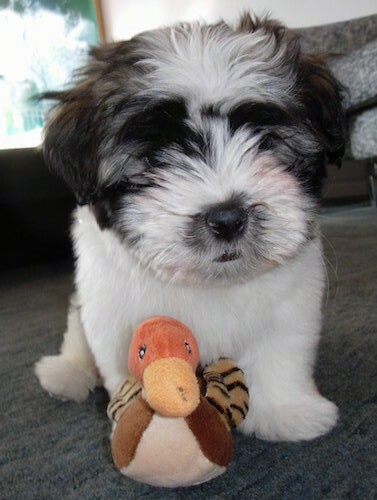 "This is Barney my 4-month-old male Havaton, (a Havanese and Coton de Tulear mix). He has such a wonderful temperament and is full of energy. He is also very smart and loves to perform tricks." 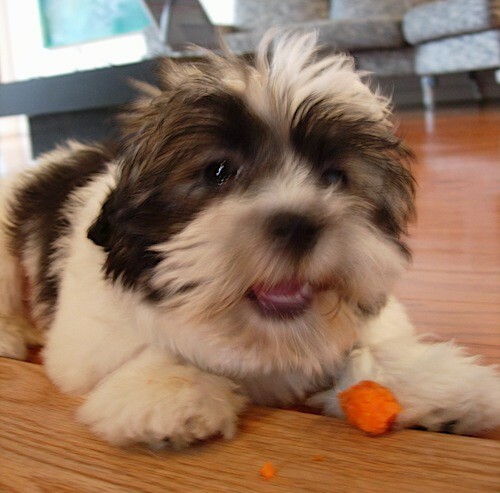 Barney the Havaton (Coton de Tulear / Havanese mix breed dog)as a puppy at 4 months old—"Barney Loves fruit and vegetables, especially carrots! !